A wanderer is exploring the area when he finds a strange corruption of land. He realizes that the only explanation for this would be underworld demons seconds before he is slain by Afratu, a demon that managed to escape the depths of the underworld. Gaury, Phailak, and Bujedek, 3 orphans, due to the fact that all the adults except for a few went to the war grounds, and most were killed, have no idea what path their lives are about to take....... All the while, a young man named Isageir, fights for his life on the war grounds. The demo only allows you to play as Gaury through the first bit of the game, where the full version allows you to go through the entire game playing as any character you want and following that storyline. The demo's main purpose is to give the player a feel for the game before deciding if they want the full version or not. The Official Trailer for the game! The full version is now complete! You can now download the game for free, as I have decided to make the game Free-To-Play! 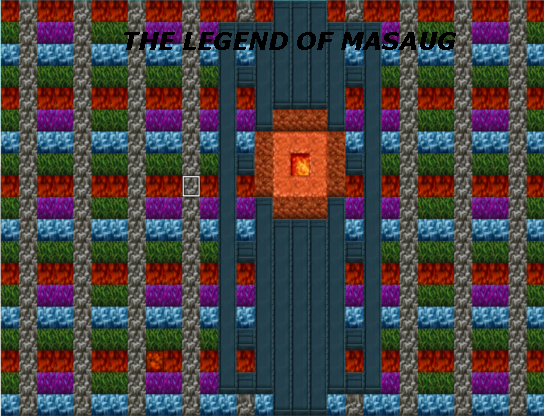 The same will be for The Legend of Masaug 2 when it is finally released. Also, for the full version, you do not need to download RTP separately or install it anymore! The game files come pre-packed with RTP.